Here is a partial list of the families who have reeived emergency financial assistance through Rebuld Hope. Hundreds more have benefited from our counseling and referral services. Note: Pictures will be displayed and links to archive will be active soon. Bruce suffers from PTSD and severe leg and foot injuries. Carter suffers from PTSD and severe back injuries. Justin suffers from hearing, sleep and leg problems. Jeff suffers from PTSD and cancer. Floyd suffers from severe PTSD and traumatic brain injuries. Fredrick suffers from chronic back and leg injuries. Shane suffers from PTSD, TBI, knee, ankle and lower back damage. Julius suffers from PTSD and multiple physical wounds. Reginald suffers from PTSD, traumatic brain injuries and multiple physical wounds. Valerie suffers from posttraumatic and bipolar disorders, traumatic brain injury and multiple physical wounds. James suffers from posttraumatic disorder. Rupert suffers from a traumatic brain injury and leg injuries. Aaron suffers from PTSD, Major Depressive Disorder, Anxiety Disorder. Shelbry suffers from PTSD, TBI and multiple physical injuries. Andrew suffers from physical injuries and mental health problems. Thomas suffers from Lupus Cerebritus (fluids in the brain) . Victor suffers from PTSD and a traumatic brain injury. Gerald suffers from PTSD and Anxiety Disorders. Ron suffers from PTSD, psychosis, migraine headaches and bilateral eyes. Post Traumatic Stress Disorder, Traumatic Brain Injury, Chronic Back Injury, Plastic Surgery to Right Arm. Mark suffers from nerve damage caused by a truck roll-over and chronic PTSD. Cpl. Barto suffers from both physical and psychological combat wounds. Chris suffers from wounds inflicted in combat in Iraq. Ryan suffers from severe physical and psychological injuries. Multiple physical injuries to neck, shoulders, back hip, legs and ankles. Kim suffers from PTSD and a number of physical wounds inflicted in Afghanistan. Brenda suffers from PTSD, Tinnitus, Chronic Anxiet-panic disorder and a back injury. Scott suffers from a number of severe combat wounds inflicted in Iraq. Sonya suffers from PTSD and multiple physical injuries. Carl suffers from PTSD and a degenerative disc disease. Scottie suffers from PTSD, traumatic brain injury (TBI) and cervical/lumbar injuries. Robert suffers ulcerative colitis w/ proctitis, tinea versicolor, vetiligo, hypertension, reactive arthritis, and bone spurs in back. Derek suffers from severe PTSD. hearing problems and chronic headaches and has a 100% disability rating. Caroline suffers from PTSD and a back injury. Jonathan suffers from PTSD and multiple physical injuries. Howard suffers from PTSD and depressive and conversion disorders. Matthew suffers from PTSD and is being evaluated for traumatic brain injury (TBI). Physical injuries including severe back damage plus PTSD. Michael suffers from PTSD and back injuries. Michael suffers from PTSD and tinnitus. Rodney suffers from major physical injuries and psychological combat wounds. Kayla has received a 70% service-connected disability rating. Gary has a VA service-connected disability rating of 60%. Chelsea suffers from TBI and PTSD. Alexandra suffers from PTSD and a physical head injury. Arlene has been diagnosed with physical injuries that merit at least a 50% service-connected disability rating. LaToyna has merited a 70% service-connected disability rating. Jeff suffers from an ankle injury, mild PTSD and a traumatic brain injury. Joe was diagnosed with a brain tumor while on active duty in Iraq. Diagnosed with severe and chronic PTSD Jeremy expects a 100% service-connected disability from the VA.
James has received a 90% service-connected disability rating. Tonya has received a 100% service-connected disability rating. Don suffers from PTSD and severe physical injuries including a traumatic brain injury (TBI). Kingsley suffers from PTSD, a crooked spinal cord, a herniated spinal disk, and tinnitus. Jeremy has an 80% service-connected disability based on PTSD and physical injuries. Valerie has merited a 90% service-connected disability rating. Diana has an 80% service-connected disability due to PTSD. Elliott has an 60% service-connected disability. Cody was injured during multiple mortar attacks. Mike has been diagnosed with PTSD,tinnitus and a lower back injury. Service-Connected Disability based on his severe combat injuries. Casey suffers leg, back and hand injuries from an on duty car accident. Jesse suffered life-altering injuries when his vehicles were struck by improvised explosive devices (IEDs) multiple times. Victor suffers from gunshot and spinal injuries. Suffers extensive physical injuries, traumatic brain injury (TBI) plus combat stress. Jason received a medical discharge after experiencing a severe head injury in Iraq. In December 2008 - three years after his discharge from the Army - Christo received an 80% service-connected disability rating from the VA.
Sgt. Sabir was a combat medic in Iraq during 2005. While serving in Iraq, Travis was traveling in a Bradly Fighting Vehicle that was struck by an improvised explosive device (IED). Jesse was injured by several improvised explosive devices (IEDs) while serving in Iraq. Brooks was injured by explosives three times while serving in Iraq. Suffers significant uncorrectable physical disabilities from problems that occurred during internal surgery. John served in Iraq and suffers from combat stress. Claudia was involved in a head-on vehicle accident in Baghdad in June 2003 that left her with a traumatic brain injury. Chris suffers from a closed brain injury inflicted when attacked with an explosive device in Iraq. Corey suffers from combat stress and physical injuries. Anthony was injured by several improvised explosive devices (IEDs) while serving in Iraq. When Author returned from his last tour in Iraq in 2005 he was a very different man, husband and father. 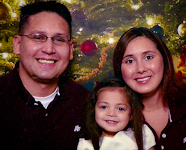 Alex suffers from a traumatic brain injury (TBI) and combat stress. Jerral suffers extensive combat-related physical injuries including traumatic brain injury (TBI) plus combat stress. "In the summer of 2004 the unarmored Humvee in which Hugo's patrol was riding took a direct hit by an improvised explosive device (IED). The Coming Home Project provides therapeutic retreats for families with veterans suffering from war-caused mental health problems. Felipe sustained a severe spinal cord injury when a sniper bullet struck him during a combat patrol in Baghdad, Iraq. As a military policemen Quentin was involved in the suppression of a major prison revolt at Camp Bucca in Iraq.